A common misconception is that switching to an EMR or EHR system eliminates the need for dictation. However, this is simply not the case. An accurate documentation of the patient encounter is still required. As many practices are quickly finding, those tasks are falling to the physicians themselves. But the physician is the most expensive – and highest revenue generating – person in the office. Wasting those skills and billable hours getting physicians to do their own clerical is the opposite of efficient EMR managment. One study showed that the typical physician who follows the traditional route of dictating notes spends about 35 minutes per day managing patient information. However a physician responsible for updating his or her own EMR by hand spends 114 minutes per day inputting patient information. Not only does that make the physician in your office possibly the highest-paid data manager, that’s almost 1.5 hours of lost billable time per day – time better spent caring for patients. Our clinical documentation services don’t work against EMR systems, they enhance them. Physicians dictate their notes as normal, but they have the option to use certain tags to automatically populate your EMR. This means less handling of patient information for both physicians and other staff in your office, which ultimately reduces your costs (see below) and leads to more efficient EMR management. 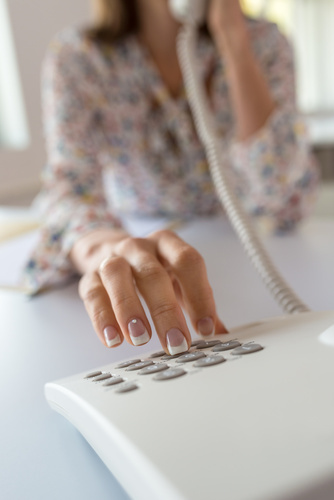 Elite Office Solutions also streamlines your clerical duties in other ways such as preparing referrals letters, IMEs, and other communications. Just dictate, and we take care of the rest. Fuller, richer notes – physicians who dictate tend to elaborate more or otherwise provide more detailed patient information, which ultimately leads to better patient care. Improved data accuracy – our trained documentation specialists pick up on errors and inaccuracies, and can flag them for your review. Consistent Documentation Team – Each physician works with the same documentation team so that they are familiar with the dictator’s style and preferences. Installation and training – Elite’s documentation system integrates with most EMR systems. We’ll install all the necessary software and train your office staff on its use. 100% U.S.-based employees – all work is completed in the United States where our privacy laws apply – not offshored to foreign countries. Read our EMR Report to find out how Elite’s team can help you improve your own efficient EMR management practices. Not every practice needs an EMR. We also work with clients who choose to document their encounters with their own systems, tailoring our services to your workflows for seamless assistance. Contact Elite using the email form below or call us directly at: 800-977-8973 | 215-491-0400. Our professional documentation specialists can seamlessly integrate clerical support for more efficient EMR management.